Rishabh protects Preeta from Prithvi's uncomfortable attention, but is attacked by Monisha. 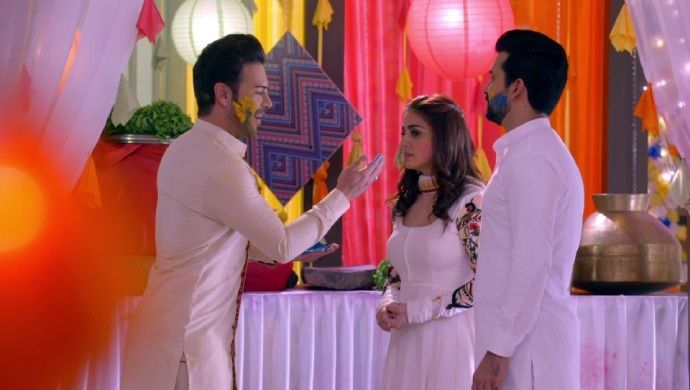 In the previous episode of Kundali Bhagya, Karan comes close to expressing his love for Preeta, but passes out from drinking too much Bhaang. Prithvi, on the other hand, finally finds Preeta alone and tries to coax her into playing Holi with him. Monisha, who plans to murder Rishabh and Preeta, is watching the festivities as a banjara dancer, and is waiting for her chance to strike. 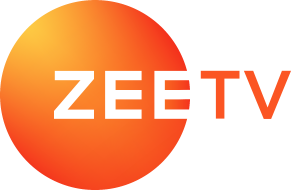 In tonight’s episode, Prithvi is trying to make Preeta play Holi with him, but Rishabh steps in at the right moment and takes her away by making up a lie about someone getting injured and needing Preeta’s attention. By the time Rishabh can explain his lie to Preeta, his aunt comes in asking him to see what his mother, Rakhi, is doing. Rakhi, who is drunk on a lot of bhaang, is convinced her husband is cheating on her because he will not marry her. The family joins Rakhi and teases the husband for cheating on Rakhi. The husband looks to Rishabh and Preeta for support but they also start pulling his leg. Shrishti comes in and breaks the moment when she asks everyone to come down and watch the banjara dancers performing. Once they go there, Sherlyn notices Prithvi again looking for Preeta. Out of jealousy,she plans to ruin Preeta’s reputation as an ideal bahu and take her place. But Chachi ji constantly follows her every move and is keeping an eye on her. Prithvi gets some time with Preeta again and tries putting colour on her but Rishabh again steps in and stops Prithvi from misbehaving. Prithvi puts color lightly on Preeta, who looks uncomfortable, and then leaves. Meanwhile, the dance begins with Preeta and Rishabh right next to the stage. Monisha, the murderer who escaped from jail, is part of the dance group. During the performance she takes aim and throws her sword aiming for Rishabh. However, she misses and ends up giving him a big cut on his arm. The dance is stopped and everyone rushes to Rishabh. Preeta takes him to his room and begins treating his wound. When she mentions giving him an injection, Rishabh tells her that he is scared of injections. Preeta tells him that now she will give him an injection even if he didn’t need it. Rishabh, because of his love for Preeta, agrees to take the injection. Will Preeta realize the feelings Karan and Rishabh have for her? Stay tuned to find out. Watch the latest episodes of Kundali, Bhagya, now streaming on ZEE5.